Sacramento will be in full swing this September with its annual Capital Artists' Studio Tour. Over 130 local artist will open up their studios - giving the public a unique opportunity to step inside the artists creative space. My studio (2110 K. St. #14 Sacramento, CA) will be open the first weekend of the tour - Sept. 14 and 15. Come see lots of great pieces and a sneak peek on my new "interior series." 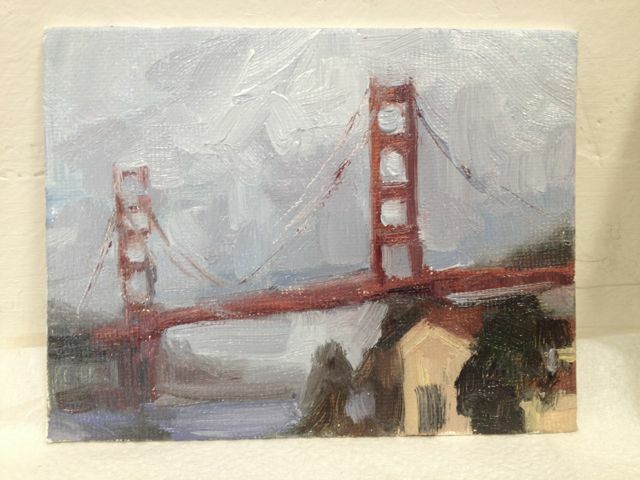 I will also have a special section of sale prices on my studio studies. These small paintings were done in preparation for large pieces, studies from life, plein air, technique experiments and painting from a live model. Also for Sale : Original Oil Paintings, Giclee Prints, Art Books. On Sept 21 and 22 I will be at Patris Studios in Sacramento giving special free artist demos. Come on By!